Despite its agricultural riches, Poverty Bay has stayed with the name given to it by Captain Cook, who had landed there in the hope of restocking his ship but left with an empty larder. How puzzling he would find it if he were to return today and see the grape vines, fruits, and vegetables that drape the fertile plains and the hilly stations where sheep and cattle graze on flourishing grasslands. LeaderBrand, New Zealand's giant vegetable grower, have their gardens on the rich alluvial land of Gisborne. Go to the farmers market on a Sunday morning and you'll find avalanches of fresh, leafy vegetables, and tree-ripened fruit glowing with good health. Before Bill and I took the Carado T449 motorhome to Poverty Bay, I thought I'd find more boutique food businesses in the region. But surprisingly, I found only a handful. A possible explanation came from Laurie, a truck driver I chatted with when we were taking a break at the Living Water Bush Café halfway through the Waioeka Gorge. He was transporting half an orchard of lemons in his truck, which was the size of a two-bedroom apartment. "You wouldn't believe how much fresh stuff we carry," he says. "Gissie grows things great but it's nearly all sent elsewhere." 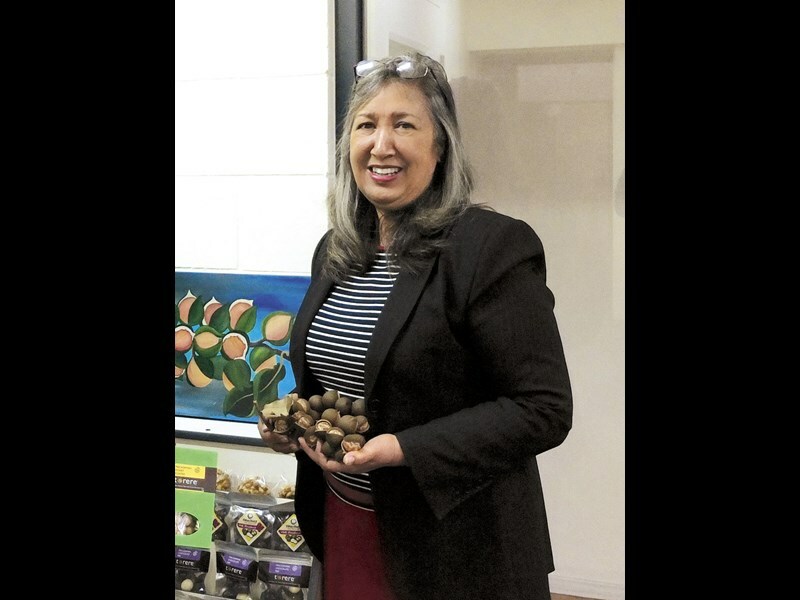 I met Vanessa Hayes in Poverty Bay—a remarkable woman who has gone nuts for macadamias. The insurance company manager is better known these days for her passionate involvement in those tough little Aussies that are so hard to crack. Twenty-seven years ago, she became the sole owner of an 11-hectare plot of Maori land at Torere near Opotiki. Charged by her great uncle—the ex-owner—to put it to good use, Vanessa determined to work the land in a way that wouldn't damage the environment. "I researched and found two crops that can be easily grown organically—feijoa and macadamia," she says. "Nuts seemed the better choice, and so I linked up with Australian growers and New Zealander researchers to learn more. "The most important things were not just to find varieties that would grow in the conditions but to find droppers (trees that drop their fruit on the ground). I didn't want to spend the rest of my life climbing trees with prickly leaves." After a lot of trial and error, research and hard work, the enterprise now produces around seven tonnes of organic nuts annually and is operated by Vanessa along with her partner Rod Husband. 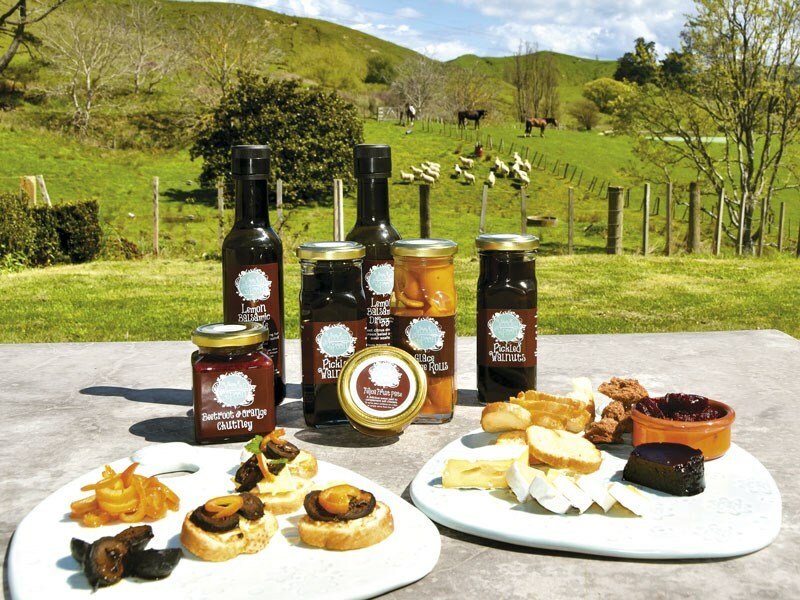 Half of the crop produced is sold in bulk, and the rest is dried, cracked, and opened in the couple's small factory in Gisborne. The buttery kernels are roasted or coated in chocolate and are sold at the farmers market, online, and at various organic outlets. Armed with a horticultural qualification, Vanessa—with help from Rod, her children, and grandchildren—then set up the largest macadamia nursery in the country that sells macadamia trees around New Zealand. But even that is not enough. Vanessa has another dream—to form a co-operative and have other Maori landowners in the area set up organic orchards on their own holdings. 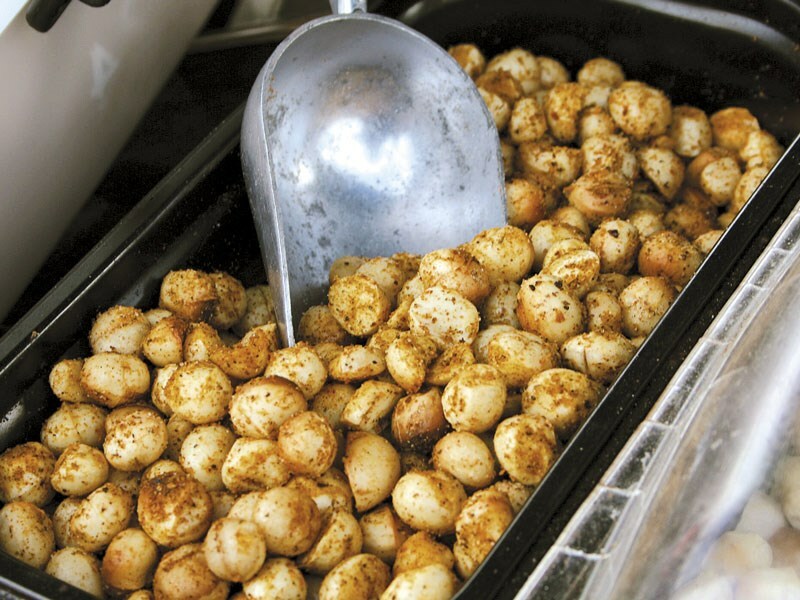 "Macadamia nuts have huge potential," she says. "There's a virtually untapped market in this country." But persuading Maori landowners to give it a try is often as tough to crack as the nuts themselves. Vanessa is slowly gaining converts. She's already supplied 20 growers, two more orchards have been planted in Torere, and a sheep and cattle station near Gisborne has ordered 2000 trees. Eating half a bag of hot roasted macadamia nuts gave me a mighty thirst and turned my attention to Gisborne's famous alehouse. 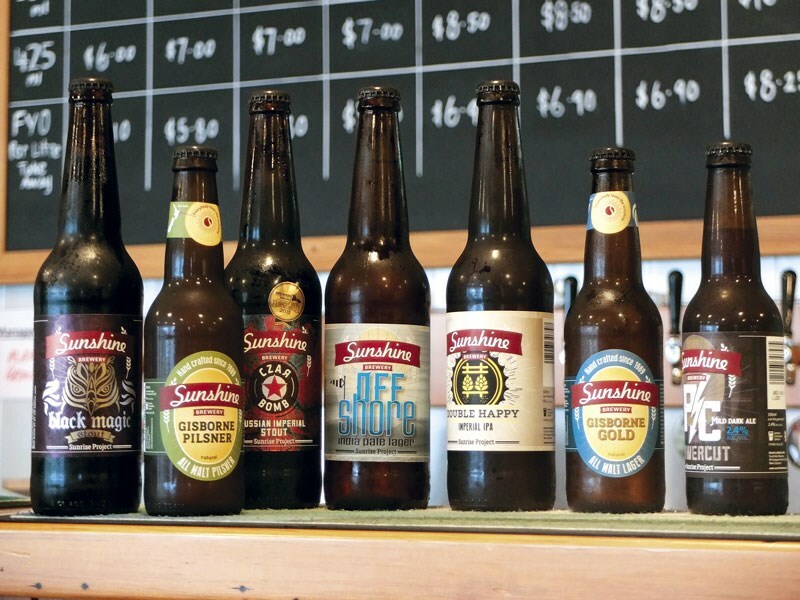 The Sunshine Brewery is one of the pioneering craft breweries in New Zealand. It began in 1989 when two surfing mates with a bit of a thirst started mucking around with home brewing and came up with a crisp lager called Gisborne Gold (known in beer guzzling circles as Gissie Gold). In 26 years it hasn't lost its cult-like status. Sunshine Brewery has been turning out Gissie Gold and many other batch-brewed beers ever since. Three years ago—3.75 million litres and four million stubbies since the first drop—the company was bought by three men from the wine industry. They moved the brewery to a new location in the corner of a sturdy old 1920s woolstore—just one big wave away from Wainui Beach. There I met Philip Shepherd, the hands-on man of the partnership, who toured me through the brewing process and then led me to the small, wood-panelled taproom. If you want to drink beer in Gissie, this is the spot—relaxed, low key, and friendly with an outside deck for summer afternoons and a gathering place for beer connoisseurs who like to taste beer and not just swallow it by the gallon. There are around 13 beers to choose from, some with intriguing names such as Vienna Amber Lager, Pale Face Ale, Power Cut and Tom Thumb. This year, Czar Bomb Russian and Imperial Stout won gold at the largest beer competition in the world. 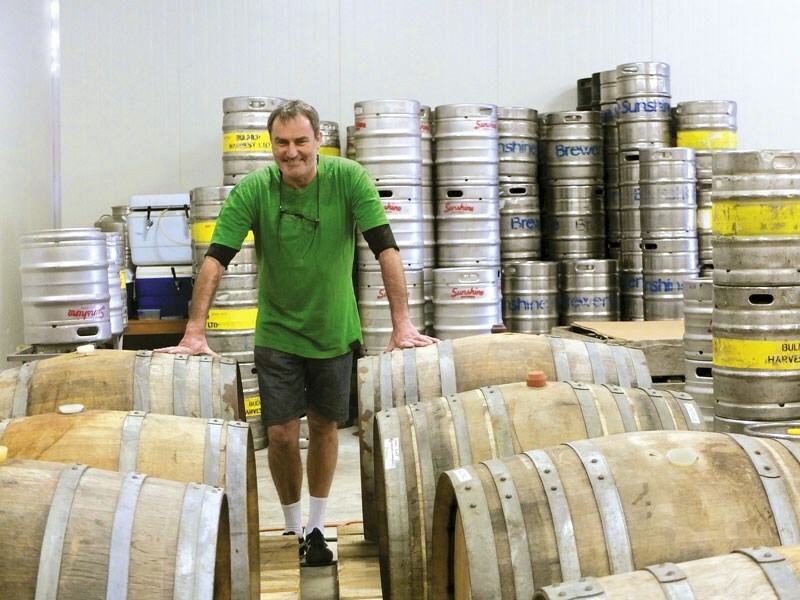 "Every Thursday we make a nano keg," says Philip. "Tonight, we're introducing an experimental brew of Double Espresso Milk Stout. It will probably sell out by 4pm." Local wines and a light food menu are also available and so is locally brewed cider. 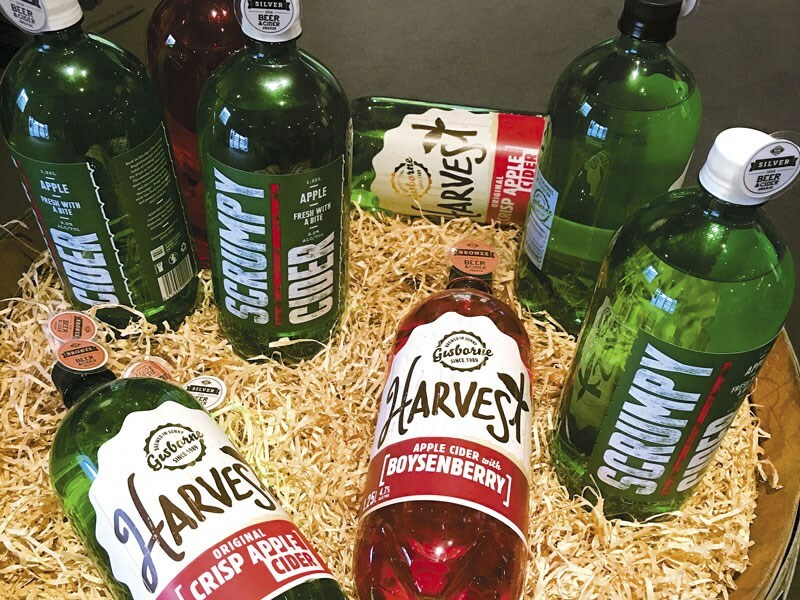 I then moved to the Harvest Cidery, which has been operating under various ownerships. It was started after the infamous Cyclone Bola (1988), when apple orchards around Gisborne, along with everything else, received a right drumming. Orchardists Brian and Irene Shanks didn't just weep over their lost crop, they decided to act. The damaged apples were made into juice and then, in a light-bulb moment, the couple thought of cider. They visited 56 cideries in England and came home with enough skills for their first batch. That first 5000 litres took a year to flog. Within two years, they were selling 5000 litres a month. These days, three million litres a year leave the cellars, all of it sold domestically. Every apple used is grown on the East Coast. There are several flavours, but this summer's release is a citrus, lemon and apple cider, which has only two percent alcohol. I was offered a taste even though summer was months away. I became an addict on the spot. Another addiction I developed on this trip was in the northernmost reaches of Hawke's Bay. 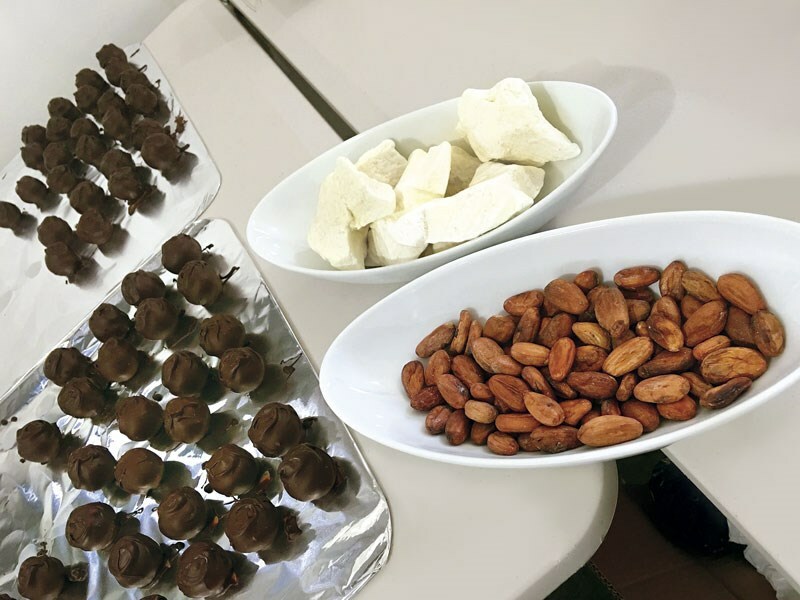 It takes a resourceful woman to be a passionate chocolatier as well as a housewife, accountant, and farm hand, especially when she's hidden away among steep hill-country on a remote sheep and cattle station. That's where I found Margot Dever, who had just scrubbed up after attending to her horses. Six years ago, Margot decided to go commercial with the treats she'd spent years making for country gatherings. 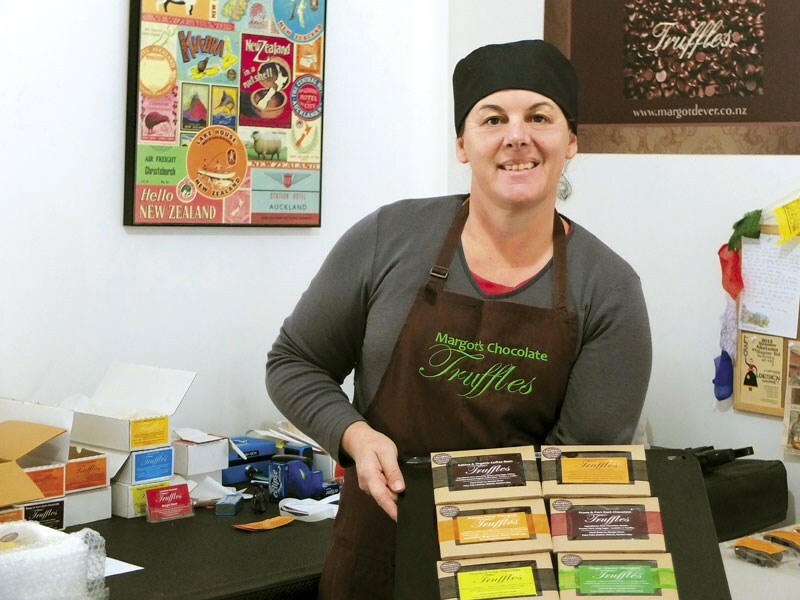 "I realised early on that, being way out here, I would need to produce chocolates of a very high quality with flavours people couldn't get elsewhere if I were to succeed," she says. I stepped into her pin-neat kitchen, which was once the shearers' quarters, and sniffed the air. The finest Callebaut Belgian chocolate was slowly dissolving in a high-tech chocolate melter. It took a Herculean effort to keep myself from plunging into the finger-licking goo. The flavours, mixed in with harder chocolate, were lined up to await their coating. Margot develops the flavours through trial and error using top-of-the-line liqueurs and fruits. No essences are used. She sells thousands of chocolate truffles a year. After my visit, it was one dozen less. I wouldn't have been doing my job if I hadn't sampled the range thoroughly. I started with prune and port, moved on to the ginger liqueur and green-ginger wine, which was followed by tequila and lime, on and on. Every morsel was close to a spiritual experience. I bought a box for a special occasion—the next day's drive to Napier. Margot confesses she eats chocolate every day and who could blame her. The good news for all other chocoholics—she looks extremely healthy. At the beginning of the Waikaremoana Road near Wairoa is a village called Frasertown. 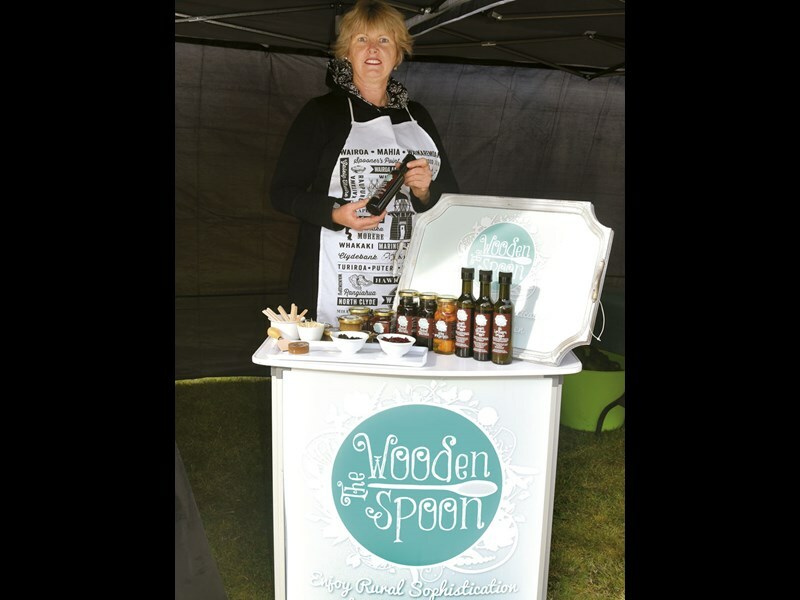 And on a farm a few kilometres into the hills, I found Sue Wilson, an artist who expresses her creative talents through graphic design and food. 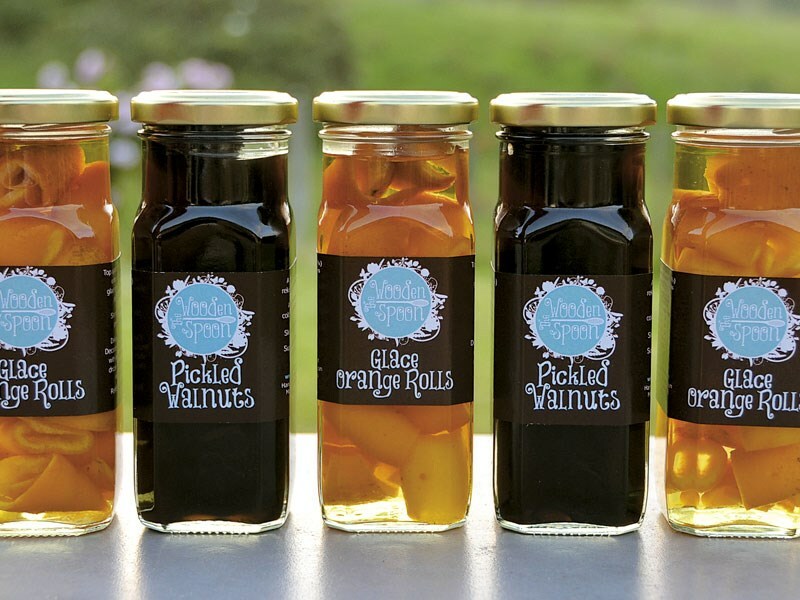 Her food company, The Wooden Spoon, has turned out many groundbreaking products since it began in the late 1980s, but today, its signature product is pickled walnuts. "They are a very old English delicacy, mentioned in Dickens' Pickwick Papers (1836) and Brideshead Revisited," she tells me. "The recipe I use, which is a tightly held family secret, has been handed down from my great-grandmother. She was born in 1866. I'm not sure how old she was when she started pickling walnuts." Sue's commercial kitchen is down the garden path but she took me to the farmhouse kitchen where among the odds and ends of a busy life, a regiment of jars ready for tasting, were lined up on the bench. Alternately filled with pickled walnuts and glace orange rolls they looked like the Black and Tan army. She opened one of the blacks, sliced several of the soft dark nuts, and placed them on crostini with camembert cheese. No wonder they've stood the test of time. The lip-smacking, sweetish vinegary taste was intense and lingering. If she'd turned her back for a minute she would have caught me with my hand in the pickle jar. "They're great with strong flavoured meats such as beef and venison. The English like them with rabbit stew," says their creator. And there was more. Next we tried Feijoa Fruit Pate—sweet and fruity and a great complement for any soft cheese. The chunky beetroot and orange in The Wooden Spoon chutney was an inspired combination, and I finished up tasting a teaspoon of lemon and balsamic dressing, which will now be drizzled over my summer salads. But it is The Wooden Spoon's pickled walnuts that turned into one more addiction, which I have to deal with. I doubt I'll be able to kick the habit. Takapuna Holiday Park: is it safe yet or not? Liz Light travels the ever-changing road from Christchurch to Lewis Pass.